New York – With a big pay-per-view fight upcoming against Mikey Garcia (39-0, 30 KO’s) in March, Errol Spence (24-0, 21 KO’s) has already started preparing for his showdown. He was on hand to see his stalemate Jermell Charlo lose his title to Tony Harrison last weekend. The two share the same trainer in Derrick James. Spence though his stable mate won the fight but thought Harrison did good work in the fight. Spence acknowledges that he won’t get credit for fighting Mikey Garcia but the plan is to be great even if no one will give him the credit for beating someone many have at the top of their pound for pound lists. “I don’t know if I’ll get credit, but it’s a win-win for him,” Spence said. Another fighter Spence has been linked to is Keith Thurman (28-0-1NC, 22 KO’s). Thurman has been out for more than 22 months. He will return January 26th against Josesito Lopez (36-7-1NC, 19 KO’s) in Brooklyn’s Barclays Center. Thurman is picking Spence to beat Garcia. 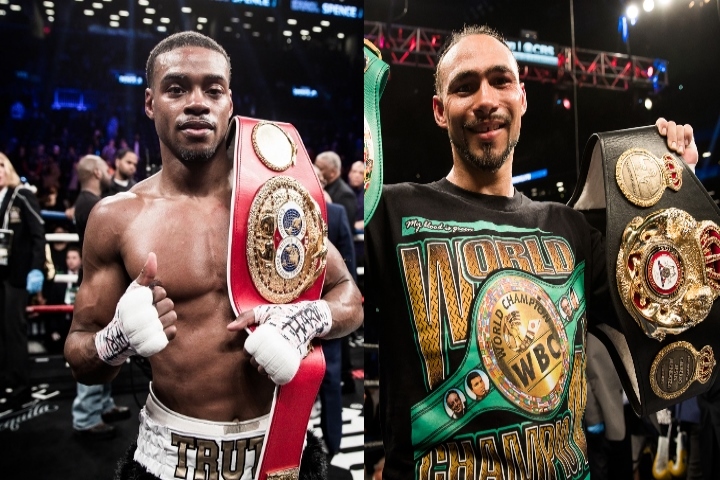 However, according to Thurman, 2019 is a ‘get-back’ year and a fight between him and Spence may not happen until 2020. How would Eddie Hearn promote Wilder vs. Fury?